Oral sores and blisters are two common complaints affecting the mouth. They cause discomfort, pain, and difficulties in eating, drinking and speaking. Oral sores and blisters are not a disease in itself, but are clinical presentations of underlying disorders or diseases. Therefore the identification of the underlying cause is very important for proper treatment and management. An oral sore are also known as oral ulcer, is a condition where there is a complete breakdown of the surface epithelium covering the mouth. What is an oral blister? An oral blister is a small pocket of fluid located within the superficial part of oral mucosa. Blisters however, are not commonly seen in the mouth because they tend to break down early to form ulcers and erosions as a result of the moist environment in the oral cavity, as well as trauma from chewing food, and infection from the oral flora. Viral infections are the commonest cause of oral blisters. Examples are chickenpox (Fig. 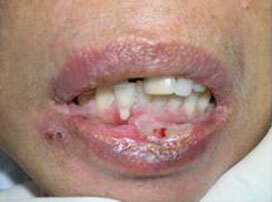 5), shingles, primary herpetic gingivostomatitis and cold sores. The other main causes are rare and are from skin diseases such as bullous lichen planus, pemphigus, and pemphigoid variants (Fig. 6). When should we be concerned with oral sores and blisters? What you should do next…….. It is of utmost importance to consult a dentist or medical practitioner whenever oral sores and blisters do not heal and when there are accompanying signs and symptoms suggesting an underlying systemic disease. Identifying the cause is important for definitive treatment. Maintenance of good oral hygiene during definitive treatment reduces the risk of secondary infections. 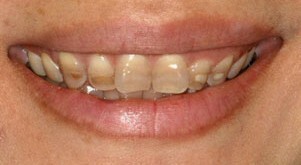 The pain and discomfort from the sores could be reduced by using a benzydamine mouthwash or spray. Healing can be promoted by going on soft diet with adequate intake of fluids, and avoiding irritants like alcohol, tobacco, and fried/crispy food. Depending on the cause, oral blisters and sores can be short-term and disappear quickly, such as with viral infections, or when mouth ulcers are due to ill-fitting dentures that are replaced by properly fitting dentures. Skin diseases however, can be difficult and require long term management. Some like pemphigus vulgaris may be life threatening if left untreated or face problems related to the side effects from the treatment itself. Rarely, a solitary non healing sore may turn out to be cancer and its prognosis is largely dependent on tumour size, nodal status and metastases. Said, S. & Golitz, L. (2011). Vesiculobullous eruptions of the oral cavity. Otolaryngol Clin North Am, 44(1), 133-60. Scully, C. (2008). Oral and maxillofacial medicine– The basis of diagnosis and treatment. (2nd ed.) Elsevier. Scully, C., & Porter, S. (1999). 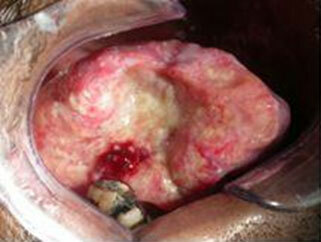 Orofacial disease: Update for the dental clinical team: 2. Ulcers, erosions and other causes of sore mouth. Part II. Dent Update, 26(1), 31-9. Scully, C., & Porter, S. (1998). Orofacial disease: Update for the dental clinical team: 2. Ulcers, erosions and other causes of sore mouth. Part I. Dent Update, 25(10), 478-84. Slots, J. (2009). Oral viral infections of adults. 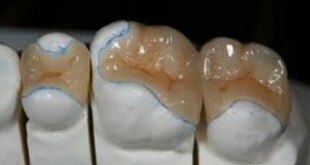 Periodontal 2000, 49, 60-86. Siegel, M.A., & Balciunas, B.A. (1994). Oral presentation and management of vesiculobullous disorders. Semin Dermatol, 13, 879-895.